A bit late....but better late, than never posted! ROYAL OAK, MI - September 23, 2013 - Illustrator Patrick Wong announces "Darkest" as his contribution to "Bits and Pieces" custom designer toy and art show opening this Saturday Sept. 28, 2013 at Lift Designer Toys and Gallery. 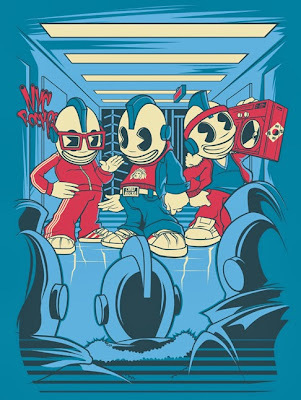 The character from Wong is derived from his "Spirit of '84" illustration which depicts two groups of b-boys as they square off in the subway - poised for battle. "In the early 1980s, breakdancing spread globally due to their part in feature films like Flashdance, Beatstreet, and Wildstyle. The "Spirit of '84" represents this cultural moment in New York city, when gang dominated youth culture shifted from fighting to competitive dancing as a means of positive expression. 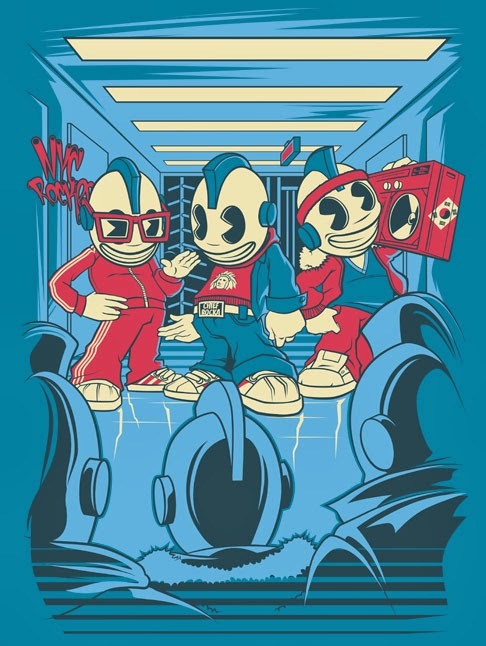 My illustration takes up the Kidrobot Mascot and mashes it together with a scene from the b-boy world - a showdown between two crews in the subway, a battle," described Wong. 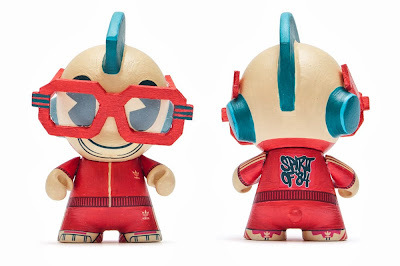 "Darkest", short for B-boy Darkest, is the second character to emerge from this "Spirit of '84" world, dressed in classic 80's b-boy fashion: Cazal glasses, Adidas tracksuit, and shelltoe sneakers. 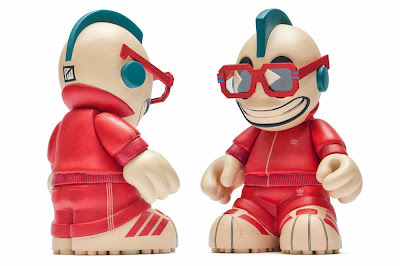 The character comes in two sizes (7" and 3") utilizing Kidrobot's iconic mascot as well as a micro munny with sculptural additions. 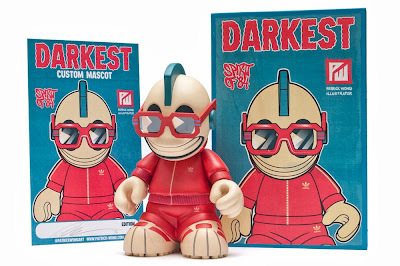 The 7" "Darkest" Mascot comes complete with a custom painted wooden box and signed edition art card. 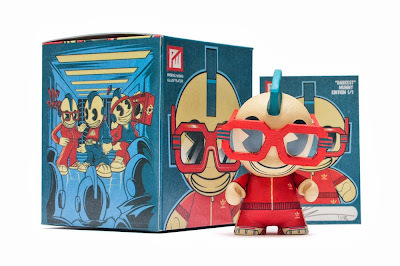 The 3" "Darkest" munny is packaged with a custom designed box and signed edition art card as well. Both figures are one-of-a-kind, closed edition, and the artist will not be producing more on the same platform. Patrick Wong is an artist and illustrator based in Vancouver, Canada. He has exhibited in Canada and the USA and has been recognized by Applied Arts Magazine, American illustration, Society of illustrators Los Angeles, and Creative Quarterly for his illustrations. 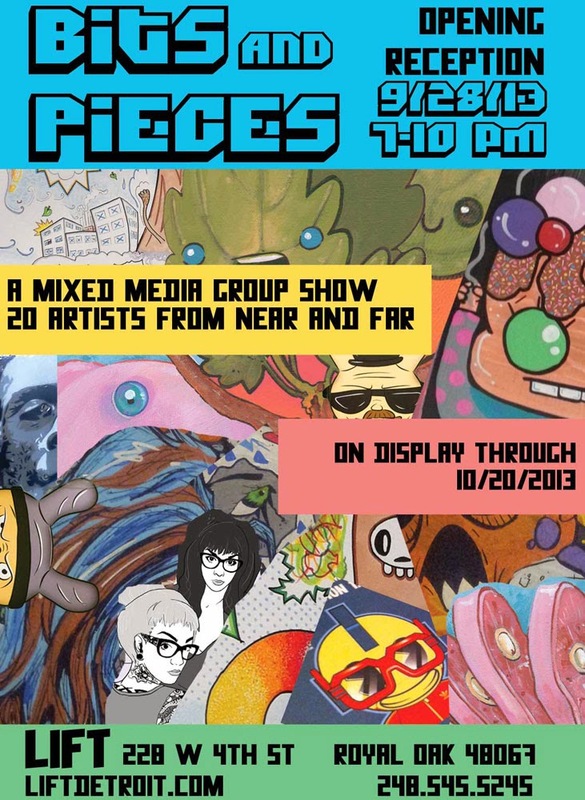 Patrick holds a BFA in visual art and themes that come up in his work include otaku/fan cultures, street art, spectacle, and narrative consumption. For more information, please visit http://www.patrick-wong.com/. LIFT is an independent boutique located in the heart of downtown Royal oak. LIFT recently moved to a larger location on 4th Street with an expanded toy selection and an art gallery area. 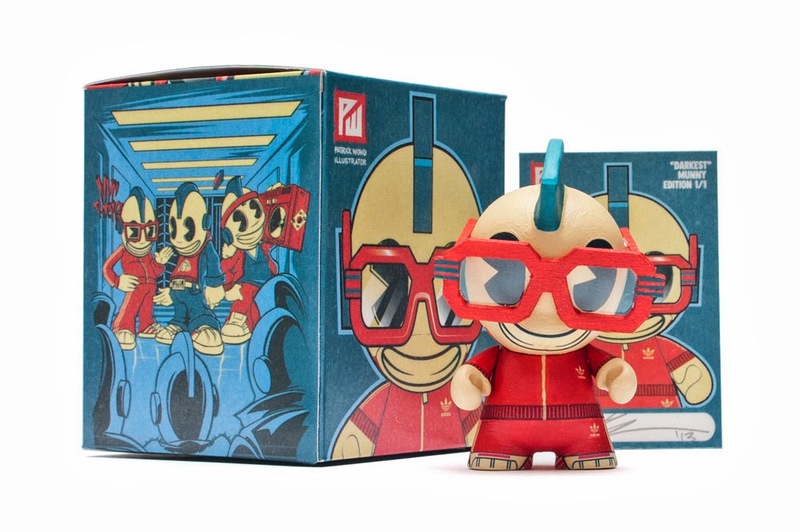 LIFT features the largest selection of designer art toys in metro Detroit. Featured brands include Kidrobot, Upper Playground, Shawnimals, Uglydolls, Strangeco and Toy2R. Located at 228 W. 4th St., Royal Oak, MI. For more information, please visit http://www.liftdetroit.com/. To learn more about this topic, please contact @patrickwongart, 778-232-9137 or email at info@patrick-wong.com.